Greenlight for girls holds one-day girl-focused events to demonstrate the fun in math, science, engineering and technology through hands-on workshops and activities run by role-models in STEM fields. These are open to the local community with particular focus to reach girls in less advantaged communities. The money raised would provide funding for transport, nutrition, workshop materials, access to lab & computer equipment so that any girl may participate regardless of their economic situation. Sometimes all you need in life is a special person to encourage you to pursue your dreams. Not everyone has this role model in their lives or the means to the education needed to get there. There are so few women that take up science careers but they make up more than half of the world's population. Why? We asked girls, "Why do you think women don't go into the sciences?" They had so many answers; but, one stood out. "They hadn't experienced it." That's what we are here to do for them. We need to be able to reach the girls that can't be reached due to lack of funding, role models and opportunity. Our objective is to create a learning environment that underlines the importance of math and science but also demonstrates how fun it can be. We bring together girls and role models in the STEM fields and inspire confidence in their abilities and in their dreams. We want them to believe that anything is possible. In a follow-up survey to the event, a full 94% of girls who attended Greenlight@Brussels Day 2011 said the event encouraged them to pursue science subjects, and this from some who are not currently enrolled in science studies. Our events have already demonstrated a positive impact to inspire girls all around the world from every economic background. This project would enable us to extend these positive effects to 500 more girls. 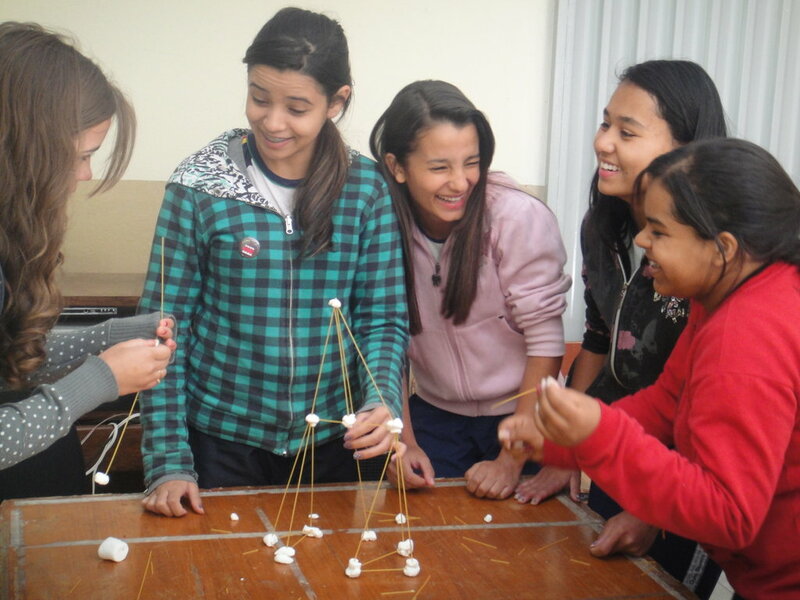 Give girls a greenlight in STEM around the world!